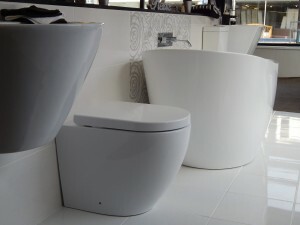 Our mission at Apollo Bathrooms is to help all of our customers achieve their dream bathroom on time and on budget. Our comprehensive service includes free, no hassle plan and design. Our team of experienced trades’ people will work with you at each stage of the design and installation process to ensure your dream bathroom is realised. Our bathroom products and tiles are created by leading designers who keep one step ahead of the latest interior trends and ensure that our ranges offer choice, flexibility and the ability to co-ordinate your bathroom to your own unique style and budget. The ranges of tiles and bathroom products we offer provide the perfect combination of style and value across a wide selection of popular designs allowing you to express your style with confidence and realise your dream bathroom. Our trained professionals have many years of experience fitting bathrooms across the North East. We have experts in plumbing, tiling, plastering, heating, lighting and cladding. Our specialist team work together to make your dreams come true creating your perfect bathroom. We take great pride in delivering incredible quality and our close attention to detail means that we are not happy until you are completely happy. High quality, careful installation of the highest quality products is the best way we know to make sure that your bathroom remains something you can enjoy and be proud of for many years to come.